The Canarian Coalition (Coalición Canaria) was formed in 1993, the year of a general election in Spain. It won four seats in the Congress of Deputies. Its formation was in response to the feeling amongst Canarian nationals that the ruling party (at the time, the Spanish Socialist Workers' Party) was concerned only with the Spanish mainland, to the detriment of outlying territories such as the Canaries. The ideology of the Coalition is to represent the interests of the Canary Islands in the Spanish Parliament, to promote development and obtain any necessary funding to boost its infrastructure. As you can see, all of these parties were concerned with Canarian Independence in some way. In the previous Spanish general election, in 1989, only the Canarian Independent Groups had enjoyed any degree of success, gaining just one seat in Parliament. With the uniting of all these seperate factions, their power was that much greater and their voice began to be heard. 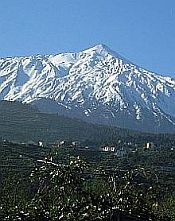 The breakthrough occurred in 1995, when, after the autonomous Canarian elections, the Canarian Coalition secured 21 out of the 60 available seats in the Canary Island Parliament. With a majority, it meant that they had a right to govern the islands, which they did, up to the Spanish general election, in November, 2011. As a result of this, the People's Party now have as many seats in the Canarian parliament as the Canarian Coalition, meaning the CC may have to strike up a pact with the PSOE (with 15 seats) if they want to stay in charge. Heading the Coalition Party, with this impressive title, is Paulino Rivero. Hailing from the charming Tenerife village of El Sauzal, he attended the University of La Laguna and subsequently worked as a primary school teacher. He was mayor of El Sauzal from 1979 till 1997 and was a member of the Cabildo de Tenerife. 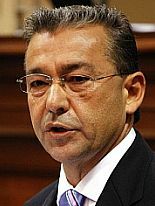 His career widened into national politics when he was elected to the Congress of Deputies, representing the province of Santa Cruz de Tenerife. He has been Canarian President since 2007. Further down the hierarchy, we come to the President of the Coalition in Tenerife, Javier González Ortiz. There are then Presidents of the Cabildos of the Canarian Coalition and, in Tenerife, this is Ricardo Melchior Navarro.